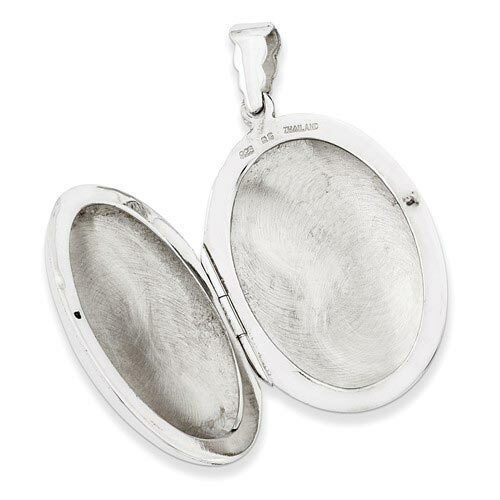 This locket is made of polished sterling silver. 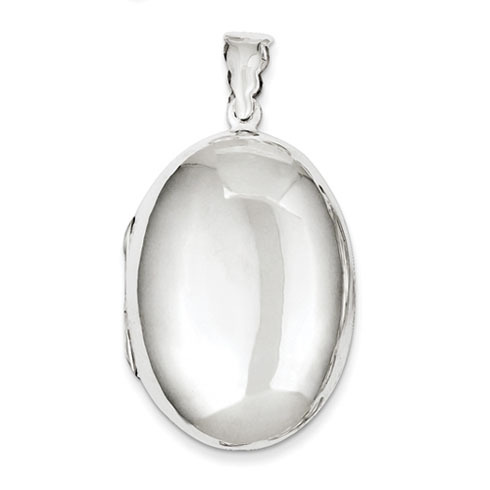 This jumbo oval locket measures 1 1/2 inch tall by 1 inch wide without the bail. Thhis item is not engravable. Weight: 8.1 grams. Chain not included.